Color is the first thing you notice about a whiskey. How can you turn that out-of-the-gate information into the start of an accurate prediction in a blind tasting? By understanding what the hue of your whiskey means. In this article and the next, we’re going to talk about what deductions you can make, about where your whiskey was made, based on the color. If you have your Whisk(e)y Tasting Chart, pull it out and let’s take a look. Right at the top, you’ll see that in the section for noting color you have six options: Clear, Pale Straw, Gold, Amber, Deep Copper, and Mahogany. Let’s focus on the two ends of the spectrum, clear and mahogany. A whiskey’s color comes from contact with oak, be that in a barrel or with staves in a tank. Yes, some whiskeys have caramel color added, but it doesn’t really come into play with what we’re talking about. Remember, we’re just focusing on clear and mahogany colored whiskeys. Obviously, a clear whiskey has no color added. And you’d be hard-pressed to find a distillery that used caramel coloring to achieve a mahogany hue. So, if your whiskey is clear like water, what can you deduce from that? Where is your whiskey from most likely? If a whiskey is clear you can deduce that it’s had little to no contact with oak since a whiskey’s color comes from the barrel. No color means no aging. If you reach into your storehouse of knowledge, you’ll remember that the U.S. is one of the only countries that has categories for both unaged whiskey and whiskey with no minimum aging time. Whiskeys from Canada, Ireland, and Scotland all have to be aged for a minimum of three years. That means almost one hundred percent of the time if your whiskey is clear, then it’s from the United States. Look at that. In less than a second and without smelling or tasting, if you see clear whiskey, you know what country it’s most likely from. Now, what if your whiskey is a rich red mahogany? What does that mean? We’ll find out in the next article. P.S. 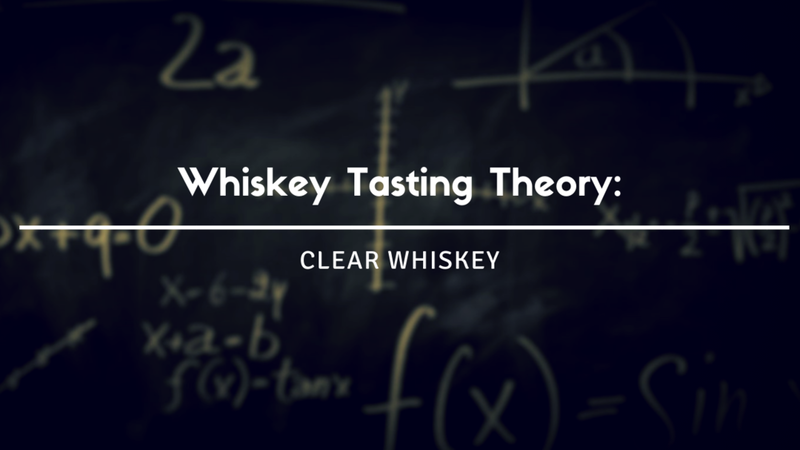 If you’re ready to take your whiskey tasting to the next level, then check out our store. It’s got all the tasting gear you need to become a whiskey ninja. Karate chop on over by clicking here.